Unfortunately there is no promotional scheme available on GoWin Casino to assist us in advertising the site. As such we have provided you with an alternative called Dazzle Casino, which is an impressive gaming site offering a great choice for any type of player. Mobile Bingo Bonuses love it when great gaming is made easy and that’s exactly what you’ll get with GoWin Casino. 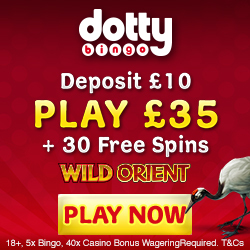 This mobile casino combines simplicity with incredible bonuses, something we always approve of! The fact that it’s a mobile casino means that you can play when and wherever you like, all you need is an Android, iPhone or Tablet device. Then you can access GoWin Casino’s huge range of casino games, including blackjack and incredible slots such as Plucky Pirates and Mummy Gold; this will make those commutes to work much more interesting. Twitter, Facebook, Google+ and You Tube pages. Registering is easy and after filling in a few personal details, you’ll be rewarded with £5 bonus credit. What better way to determine for yourself how you feel about the site, before adding any of your own money. This means that for a mere £10 each time you’ll end up with £50 extra, making a grand total of £80 to game with. Cashback Tuesdays – GoWin Casino believe in rewarding loyalty and as such offer cashback every Tuesday. You can claim 10% back on any losses up to £100, with any extra funds being added to your account instantly. Happy Hour – They may call it a happy hour but in fact it’s three! Between 2pm and 5pm, every Monday to Thursday you can claim 25% up to £50 for depositing a minimum £10. For those of you who are used to the red carpet treatment, then you’ll be delighted to hear that they offer a VIP Scheme. 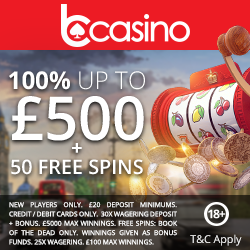 This is invitation only but you can enjoy a number of perks including monthly cashback, deposit bonuses, exclusive prize draws and a dedicated VIP Manager. If you have any questions or need any support, you can contact GoWin Casino via email, telephone or letter. They also have an FAQ section which can hopefully assist with any queries you may have. If you prefer your news through social media, then check out GoWin Casinos Twitter, Facebook, Google+ and You Tube pages for the latest gossip and promotions. They accept the usual banking methods including Credit and Debit cards, Boku, U Kash and Skrill. To enjoy this incredible gaming site and enjoy the £5 credit, simply head over to GoWin Casino to register.